Quaker shared on their Facebook pics from the upcoming CF. Click on the pictures to enlarge! Quaker is holding some kind of "first-come, first-served" contest from May 1st to June 30th. 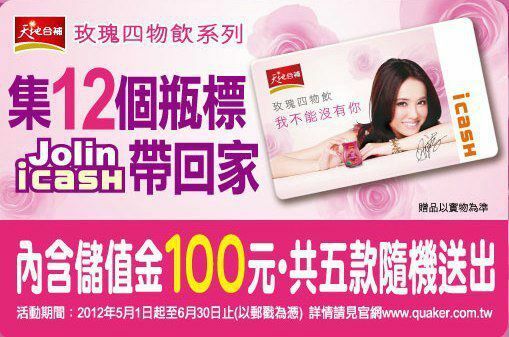 People only have to buy 12 Quaker bottles, and they can receive a "Jolin icash" card which contains "the store value of 100 yuan (=12€ or $15,91)".